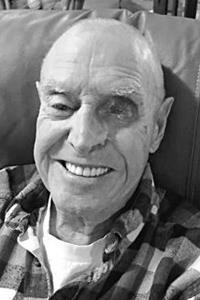 "Please accept my condolences may God give to your family..."
PITTSFIELD - George C. Moody passed peacefully at home surrounded by family on Jan. 25, 2019, at the age of 90 years old. George was born on Jan. 27, 1928, in Troy, Maine, son of Arthur and Doris (Wingate) Moody. He grew up in Troy and graduated from Unity High School in 1947. He married the love of his life, Leola Leavitt Moody, in 1949. They loved each other very much!! George started his career at Pittsfield Coal & Oil Company as a truck driver in 1955 and worked his way up to becoming the owner of the company in July of 1967. He retired in 1998. He was involved in several organizations. He was a volunteer firefighter for the town of Pittsfield in the 1960's. He was a member of the Maine Oil Dealers Association and served on the board of directors. He and Leola were members of the New England Fuel Institute, where they enjoyed attending the annual convention and trade show in Boston. They traveled to many destinations all over the world with the NEFI. George was a member of the Mid Maine Chamber of Commerce in Waterville and served on their board of directors for several years. He was also a member of both the First Congregational Church in Pittsfield and the Driftbusters Snowmobile Club. George and Leola traveled to their favorite place, Aruba, for 30 years. They also loved traveling with their camper to North Carolina and Virginia. He loved spending time with his loving wife and their children, grandchildren, great-grandchildren and other family members and friends! He enjoyed hunting, fishing, golfing and snowmobiling with his family. He is survived by his sister, Beatrice Thomas of Brooks; sons. Robert G. Moody and wife Joetta of Pauline, SC and David A. Moody and wife Laure' of Pittsfield, daughter. Sandra L. Perkins and husband Jeffrey of Pittsfield; grandchildren. Julie, Christopher, Sadie, Carrie, Kevin, Andrew, Brianne and Erin; great-grandchildren. Mary, Titus, Seth, Levi, Adam, Riley, Cayden, Kelsey, Dawson, Olivia, Eli, Alyssa, Jasmine, Harper and Quinn; brothers and sisters-in-law, Harry and Louise Leavitt, Lorraine Leavitt, Carroll Leavitt, Earl and Therolin Leavitt, Galen and Ervena Leavitt, Patricia and Richard Holt, Harland and Debbie Leavitt, and Howard and Nancy Leavitt; and several nieces and nephews. He was predeceased by his wife of 67 years, Leola; his loving grandson Dennis; his parents; his in-laws Harry and Grace Leavitt Sr.; daughter-in-law, Connie Jo Moody; brother Kenneth, brother and sister-in-law Carl and Donna; brothers-in-law Linwood Leavitt and Dale Thomas, and sister-in-law Carol Sue Leavitt. A funeral service will be held at 3 p.m., Friday, Feb. 1, 2019, at the Shorey-Nichols Funeral Home, 191 Hartland Ave., Pittsfield, with Rev. Glenn Nichols officiating. A gathering will follow at the funeral home and all are welcome. A spring committal will be held at the Village Cemetery, Peltoma Ave., Pittsfield.